The 2019 IPL is just four months away and it will be the talk of the town in a few days' time as the IPL auction is scheduled to take place in Jaipur on December 18. The teams would have already started their preparations for the tournament. The team management will have their task cut out as they will be trying to figure out the right combination for their team going into the tournament. 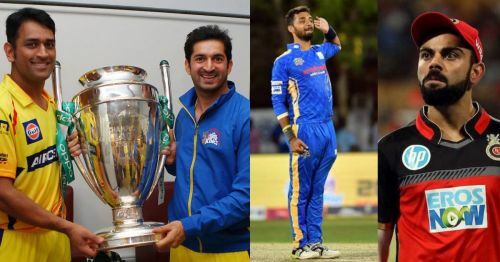 With just over two weeks left, the teams would have marked their priorities as they sit and take on each other in the 2019 IPL auction. In the player retention ahead of the IPL auction, a few teams played it safe by retaining the core of their side while some let go a majority of their players in a bid to re-build a team for the upcoming season. One of the biggest challenges for the franchises in the 2019 auction will be picking the right players keeping in mind the possible change of venue from India to either South Africa or UAE and the 2019 World Cup because of which most of the international teams might not allow their players to take part in the whole tournament. Keeping these things in mind, let us take a look a bowler each team could get in the upcoming IPL auction. Chennai Super Kings, going into the 2019 auction, have retained the core of their title-winning 2018 IPL squad as they released just three players, ahead of the upcoming season. Irrespective of where the tournament is going to be held, CSK have all their bases covered. Spearheaded by South African pacer Lungi Ngidi, Chennai have the likes of Shardul Thakur, Deepak Chahar, David Willey, Dwayne Bravo and Shane Watson in the pace bowling department while the likes of Imran Tahir, Mitchell Santner, Ravindra Jadeja, Harbhajan Singh, Karn Sharma etc. complete the spin attack. So, it is safe to say that Chennai don't actually need a bowler in the IPL auction. However, last season Chennai Super Kings bowlers struggled in the death overs and this could mean that the team management might be tempted to go for a bowler who is actually good in the death overs. Mohit Sharma, who did a fine job for CSK till 2015, is one candidate who can come back to the Yellow Army as he is someone who is trusted by Dhoni and can bowl well with the new ball and in the death overs.